Greetings Comrade! This is a Russian made badass. 50 watts with 6L6 power tubes. Built like a T-34 (tank). 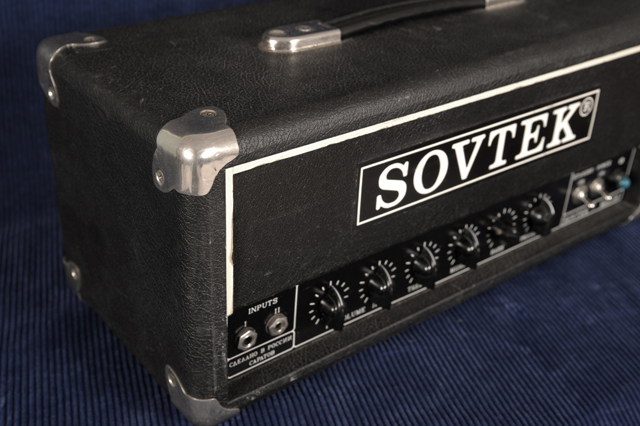 The Sovtek Mig-50 head is the kid brother to the higher gain Mig-60 and prodigal son of the 100 watt Mig-100. Thick cleans to full bodied crunch when pushed. Reminiscent of old an old Bassman or Plexi. Channel 1 is big with plenty of headroom. While Channel 2 is brighter with more of that vintage Marshall flavor. 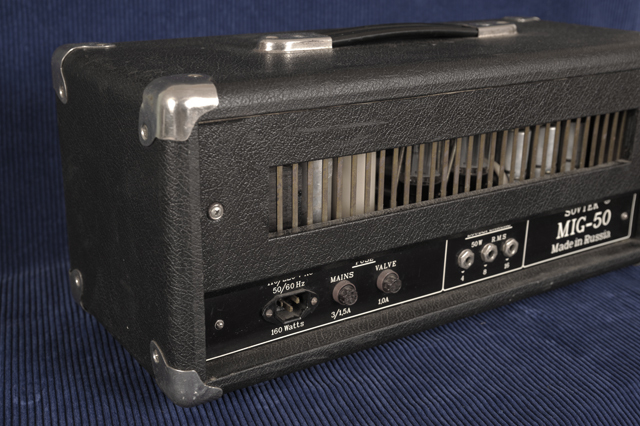 Not the scooped mids and high gain of modern Marshalls, more along the lines of a JTM45 or JMP. This is an amp that needs to be played and played loud. Don’t be shy. These were produced from 1992-1996 for Mike Matthews (Electro-Harmonix/New Sensor) during the period those infamous green Sovtek Big Muffs were also being made in the former U.S.S.R.. 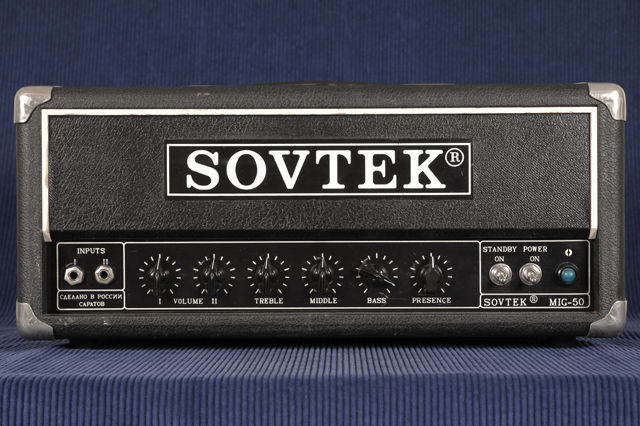 The compact, small box head is easy to transport and about half the size of the Mig-100 or a JCM Marshall. Has 4, 8, or 16 ohm speaker jacks. Great for blues, rock, doom or even country pickin’. Solid simple and damn, it sure does love effects pedals. Has a few dings and marks in the tolex but all is as it should be.This little guy has had all pots replaced and upgraded. Anyone familiar with Sovtek amps knows this is inevitable as it is costly. So you can be sure this amp is ready for for the music you need to make.